Do you have any idea on how to manage your budget when traveling to Italy? Probably not, so let us show you. You must be dreaming of an Italian getaway? Browsing photos and looking at articles online can be a great way to start planning your itinerary, but any vacation in Europe is can be expensive if you don’t know what you’re doing. Preparing a budget and sticking to it is one of the best ways to save up when you travel abroad. To help you curb expenses, here are a few suggestions on how to make the most out of your Italian experience without breaking the bank. Being smart about where you want to go and when can go a long way in stretching your money and travel expenses. Heading to Italy during the low season is ideal if it’s your first time, and don’t want to miss out on the major destination cities like Amalfi, Florence, Rome, Venice, etc. Hotels and restaurants typically offer lower rates during these times. For Italy, peak season includes the week of Easter in the spring, Christmas and New Year’s, as well as other Italian national holidays. It’s a good idea to check an online calendar if you aren’t sure, and plan your trip accordingly. If this is a repeat visit and you are looking to see more of the country, there are a number of other beautiful destinations that cost a fraction of the price, but still offer an amazing experience should you choose to visit them. Many of these places are located in the south of Italy. You can also look into getaways in the Tuscany region, Puglia, or Western Sicily – all gorgeous destinations worth exploring, but much less well known. It may be a good idea if your aim is to kick back and relax: these places will not have the usual tourist crowds and you can experience life like a local. Have you checked hotel rates in Italy and boggled over the prices? Yes, the accommodation rates can be daunting, but you can find affordable places to stay if you’re resourceful. There is a big misconception that booking directly with hotels can save you money. Unfortunately, that is usually not the case. Hotels do look for direct bookings, but tour operators are their bread and butter, and get wholesale rates. When you book direct you are paying retail rates with out the extra layer of expertise and support. Remember these days are one can play for a good Trip Advisor rating if they really wanted to. So the cost of staying at a hotel can be softened if you book with an established tour operator and choose to stay at least three nights, as well as timing your visit around the off season. Staying in a small town or suburb with a reliable railway link into the city of your choice can also go a long way towards lowering your accommodation expenses. Instead of an expensive hotel, check into a comfortable bed and breakfast if you’d like to spend more of your money on sightseeing and shopping than a place to rest your head on. You can also shop around for interesting accommodations in or outside of the major Italian destinations on Airbnb. Another interesting option is staying at an agriturismo: loosely translated, it means “farm-stay” in Italian. This is undoubtedly the most immersive way to experience the Italian countryside. An agriturismo is an independently owned farm that can be rented out, at least partially, by visitors. You or your travel consultant should be able to find some exceptionally charming locations that are cozy and offer great value for money. Another great thing about these places is that they also give you a taste of the local cuisine. Most agriturismi offer full dinner and breakfast made with ingredients and produce harvested right on the farm you’re staying on. Ask the locals where their favorite places to eat are. If you do opt to eat out, there are many restaurants that offer set menus during lunch service, which can be a cost-effective choice. Don’t worry about leaving much of a tip – service charge is included in the price, and Italians rarely do anyway. Some people like to have a main meal in the midday and pick up snacks the rest of the time. We think that is a complete waste… When you are in Italy EAT! One great way to save on sightseeing is by keeping a lookout for all-inclusive tourist cards. For example, the Roma Pass, sponsored by the city government, gets you either 48 or 72 hours worth of free use of the city’s public transport network. This includes the Metro, buses, and trams, as well as free entry to the first two visited museums and/or archaeological sites of your choice. What’s more, it can also give you discounts to other museums and sites you might wish to visit thereafter. Roma Pass holders can skip the ticket window line at the Colosseum, Castel Sant’Angelo, and Musei Capitolini, too! You can purchase the cards online, or at any of the participating museums and sites. 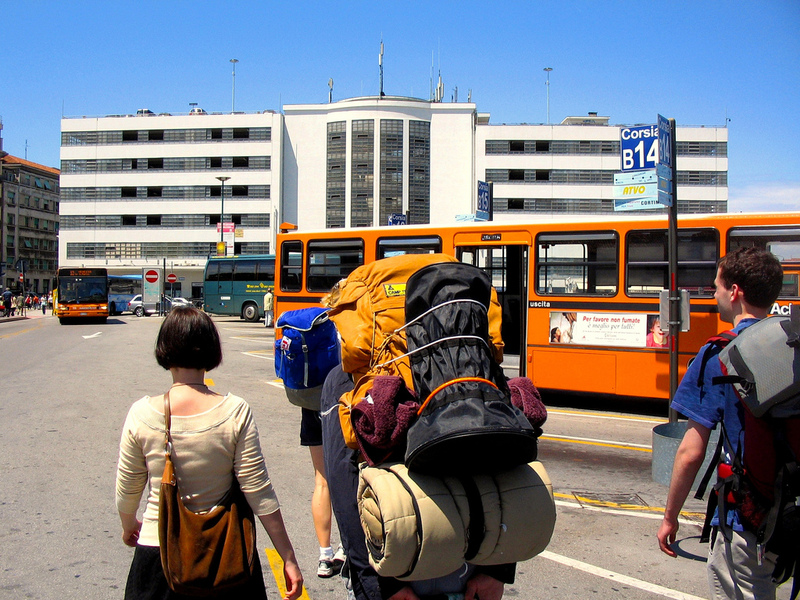 Traveling on a budget doesn’t necessarily have to be a “cheap” experience. If you plan accordingly, you can have a lot of fun on your trip to Italy without overpaying. Just keep these helpful travel tips in mind and you can enjoy your budget vacation to the fullest. Hi!!! I would like to inquire about the process on how to go to italy….hope you can help me. Our process is quite simple. 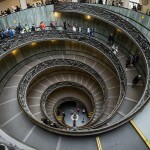 Fill out this form http://www.italynow.com/plan-your-italy-vacation/ and a travel expert will reach out to you!